Reunion, Colorado, a beautiful new town just established in 2002. Reunion has a wonderfully designed landscape built to incorporate the best of both the country and the urban culture of Colorado. With amazing lakes, golf courses, and monthly events, there’s plenty to enjoy in Reunion. 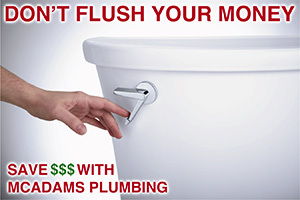 McAdams Plumbing is your first choice for plumbing repair in Reunion. If the service you need isn’t on this list, don’t worry. Just give us a call and we’ll get you squared away. You would be amazed at how fast a small leak can turn into big damage. That’s why McAdams Plumbing strongly recommends that you have any leaks repaired right away. This will save your home from costly water damage give you peace of mind to know your family and possessions are safe. We’ll track down your leak at the source and fix it the right way, right away. Protecting your home from water damage is always a smart decision. The best way to do that is with a WaterCop Automatic Water Shut-Off Valve. 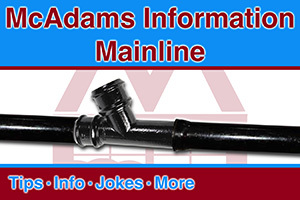 The WaterCop valve is placed on your main incoming waterline. Wireless sensors are then distributed throughout your home. When these sensors come in contact with water they send a signal to the WaterCop telling it to cut off all incoming water. This stops the leak in its tracks, protecting your home from further damage. 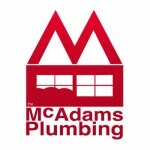 Thank you for taking the time to find out what McAdams Plumbing is all about. We are here for you whenever you need us, so don’t hesitate to call. 303-465-1900.